With the help of our world class infrastructure facility, we are engaged in manufacturing, supplying, trading and exporting a wide range of Conical Busbar Supports. These supports are manufactured using superior quality fiber that our procuring agent obtains from certified vendors. Our offered supports are delivered in suitable packaging to ensure secure shipment. With the help of our experienced engineers, we are able to manufacture, supply, trade and export high quality DMC Insulators. In tandem with international quality standards, these products are extensively used in electrical industry. 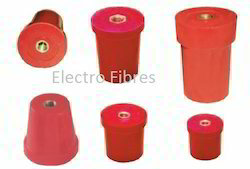 To manufacture these insulators, our experts utilize finest quality material that is sourced from certified vendors of the market. Furthermore; we offer these products in a spectrum of shapes, sizes and dimensions at industry leading prices. 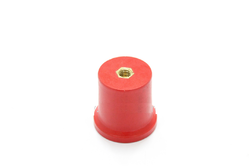 Looking for DMC Insulators ?